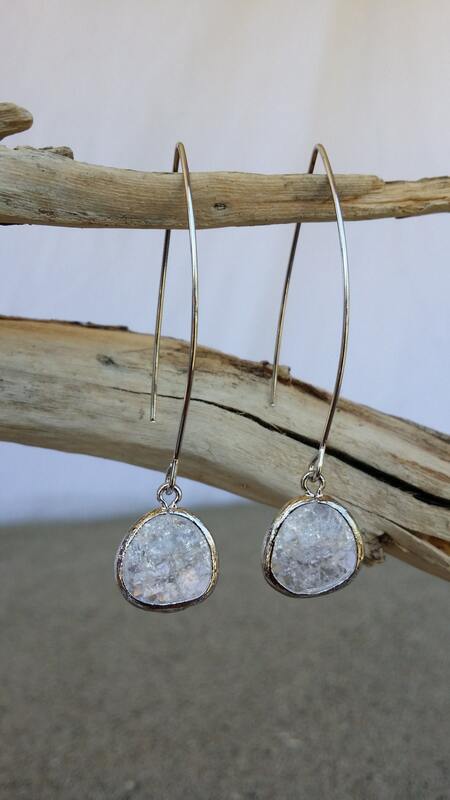 This beautiful earring has an Silver plated bezel setting with Clear faceted crackled glass. 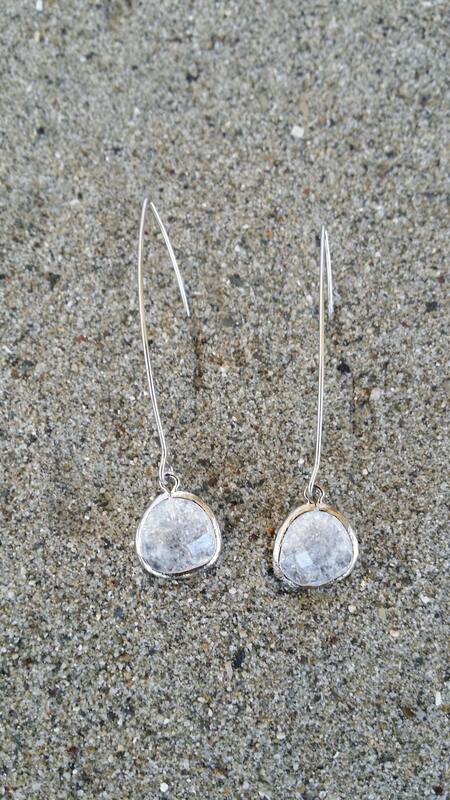 It hangs from your choice of either Silver plated or hypo-allergenic Sterling Silver hand formed open ear wire. The faceted crackled glass piece catches the light beautifully. Perfect to dress up, but can also be dressed down with jeans and a tee shirt. 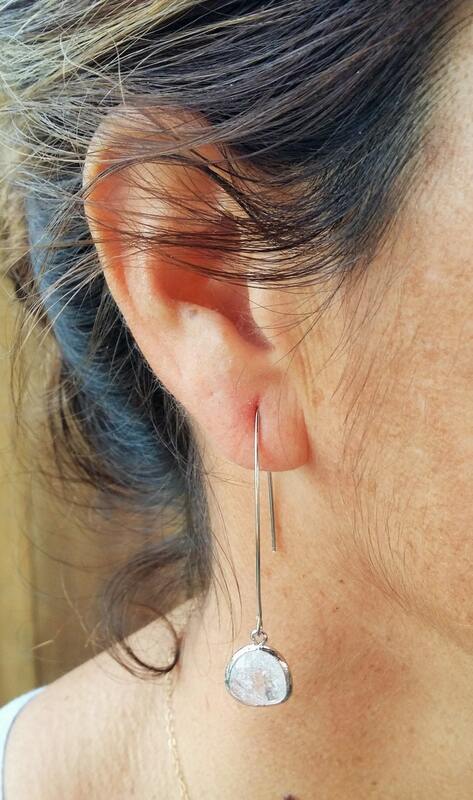 The stones measure 13 x 16 mm and hang from a 45 mm open ear wire. *I can make the ear wire longer or shorter if you need. Please message me for custom length. *Custom colors are also available upon request. Please contact me or check my earring listings for availability.